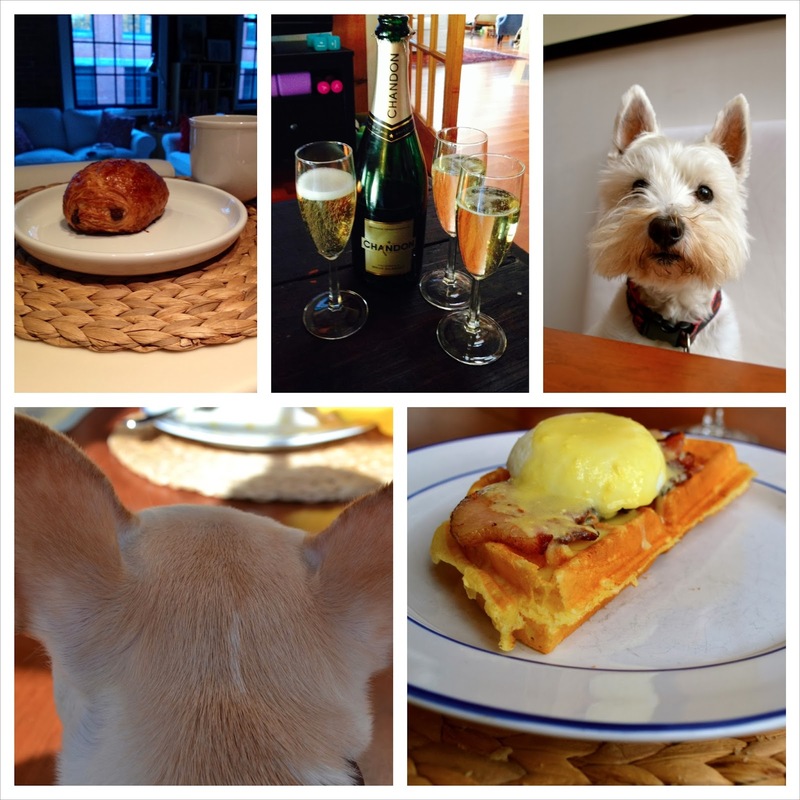 heather & olive: weekend in pictures and three things. weekend in pictures and three things. I bring my fancy camera everywhere and I never take any pictures. My siblings and their spouses all convened at my parents' house to celebrate my mom's birthday (it was so fun), but instead of taking pictures of them I took pictures of dogs and food. I need to step up my photography game in a major way. Cinnamon is really delicious if you add it to your coffee before you brew. But make sure you're adding cinnamon, and not cumin. Cumin is not delicious in coffee. I am seriously entering hibernation mode. I'm concerned because daylight savings hasn't even happened yet, and I find myself ready to snooze at a completely unacceptable hour. I don't even want to say what time I went to bed on Friday. Okay, it was 7:30. And it was awesome. I wish those pictures could give that eggs benedict justice because that was out of control over the top delish. And I'm happy to pose for pictures any time.